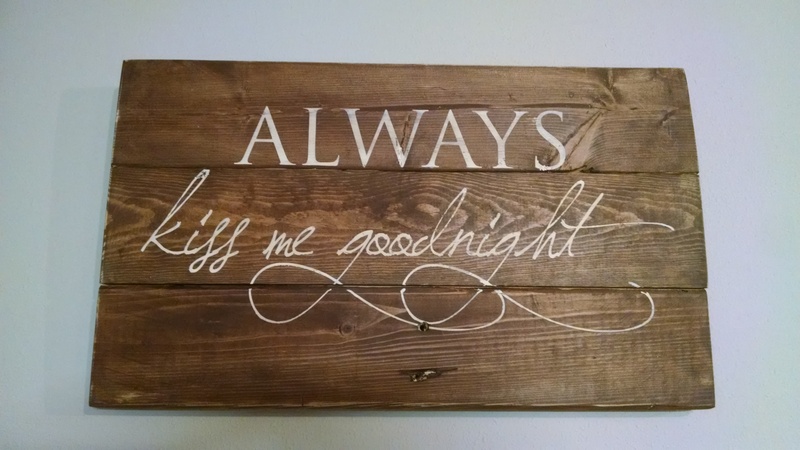 Always kiss me goodnight….perfect for couples! A wonderful anniversary or wedding gift. Approximate dimensions are 10.5″ by 17″. Sizes vary do to board availability. No two signs will be exactly the same and each are hand made.